The Valentines were an Australian rock pop band active from 1966–1970, and boasted a twin lead vocal attack, very popular down under with a sound somewhere between The Rolling Stones and The Easybeats. 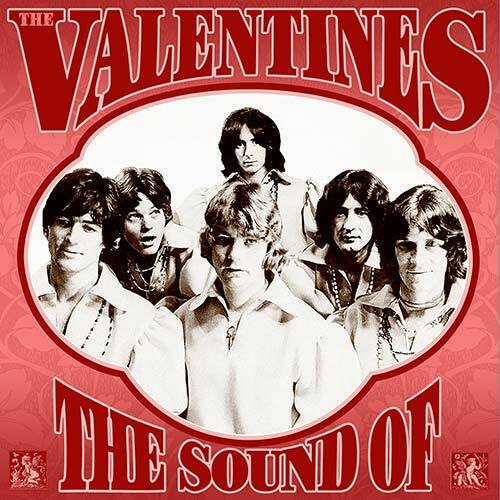 • The Valentines were an Australian rock pop band active from 1966–1970, and boasted a twin lead vocal attack, very popular down under with a sound somewhere between The Rolling Stones and The Easybeats. • On lead vocals were Bon Scott, who later went on to great success as lead vocalist with AC/DC; and Vince Lovegrove, who subsequently became a successful music journalist and manager of the Divinyls. • They first recorded for Clarion Records in 1966 as The Spektors then changed their name to The Valentines in time for the first single release, coupling Arthur Alexander’s ‘Everyday I Have To Cry’ and the Small Faces’ ‘I Can’t Dance With You’. • Their next release, issued in September 1967, was the unusual ‘She Said’, wherein The Easybeats provided Clarion with a rare composition. The Valentines later notably also covered the latter’s ‘Peculiar Hole In The Sky’ to great effect (it titled a CD on ACE of prime Australian Big Beat). • RPM now presents the complete Valentines recordings enhancing the Clarion label years with the singles subsequently released on Philips. 10. “DOIN’ THE HEAVY” AD.